This is a commission slot. 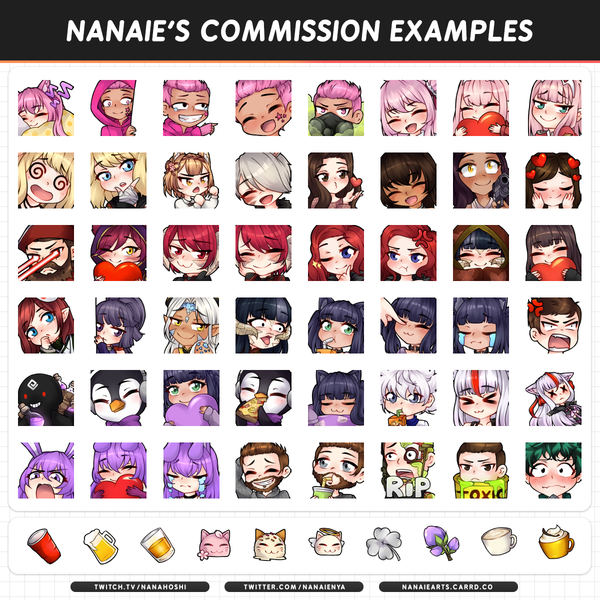 You can hire Nanaie to create a personalized artwork of this sort here. Took a little time but worth the wait! Accommodated my big order— was super friendly; and was very thoughtful and willing to work corrections with you! Artist contacted by the website and Twitter. Asnwer to request easily. Pretty work and awesome expressions. Recommended !